This plugin also attempts to "balance" the compliment of creatures according to ecological rules. i.e. far fewer predatory creatures than herbivores. 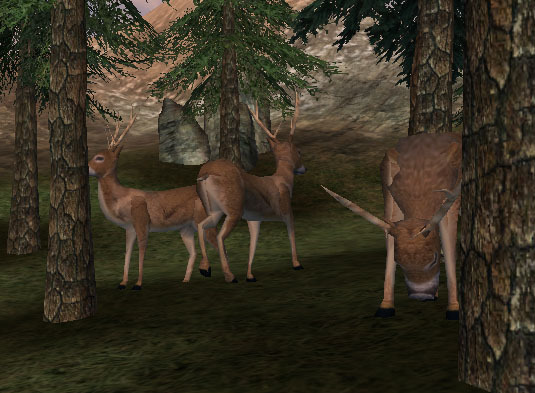 On Solsthiem you'll notice mostly, deer, frostboar, and rabbits. Wolves and bears are much more unusual. On Vvardenfell you'll notice far fewer Kagouti and Alit than Guar, Scribs or Rats. Daedra have been removed from the leveled lists of the grazelands and many other areas - to give a more "natural" feel to MW exteriors. 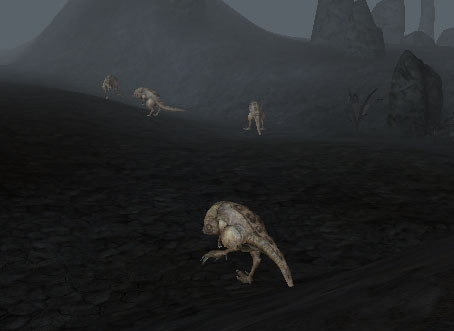 Small herds of Guar have been hand placed around the grazelands and ashlands regions - so the ashlanders have something to hunt! Leveled Creatures have been changed in almost all regions. The creatures included in this mod are largely passive and standard creatures have been pacified -except for blighted creatures. Most are much faster than they were originally so if you attack them they will run away, VERY fast. Bears however will usually fight you if bothered. Daedra, Undead, and non-animal creatures like, dwemer constructs spriggans, reiklings and reikling raiders will still attack you on sight. Flee AI is also "fixed" in a similar fashion to Watkim's game improvements. I don't believe there should be much of an FPS hit from this mod. 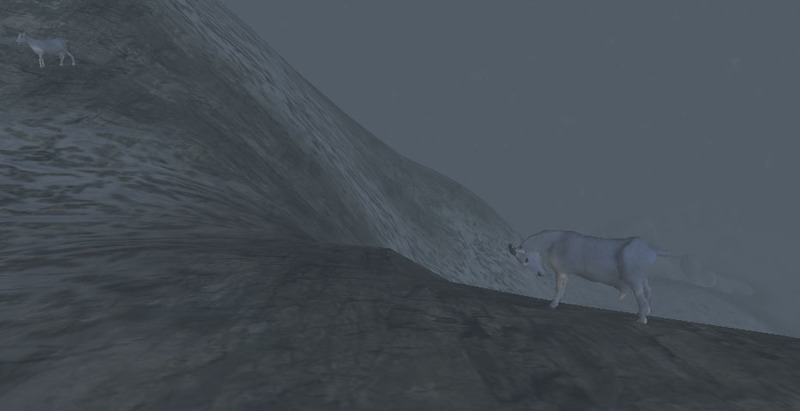 In solstheim many of the wolves and bears were removed and the deer added. Added creatures are mostly in small groups scattered around but not in very large quantities. This plugin "balances" Morrowind wildlife according to ecological rules. This is what most people will want to use. This plugin does the same as the standard morrowind ecology AND forces the player to become carnivorous and must hunt creatures to live. It does this by adding meat items to all of the creatures. This carnivore version of this plugin is a stand alone "eating mod" and so shouldn't be used with other "Eating mods" such as necessities of morrowind or other versions of the carnivore mod. 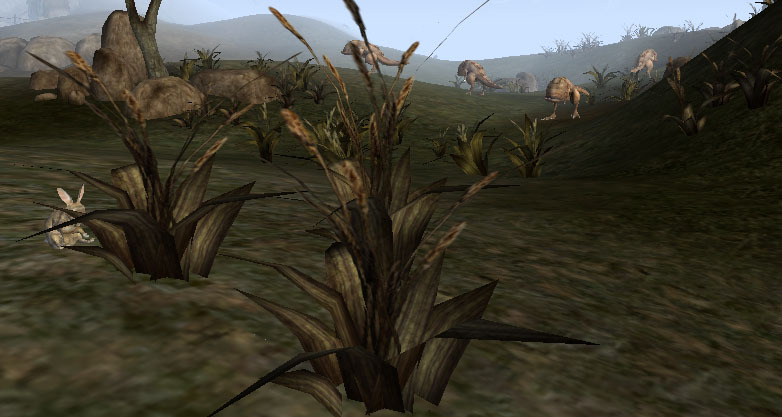 This plugin was originally intended to be used with the Pharlan race as they are carnivorous but it could conceivably be used with any beast race that would like to "get back to nature"
This plugin does the same thing as the MW ecology mod but adds the ability for bloodmoon werewolf characters to "feed" on the new creatures. Adds a script to all the creatures. Three different re-textures of LadyE's housecat. An orange, calico and grey tabby are included. They've also been added to various towns around Vvardenfell so you can wander about and see them.